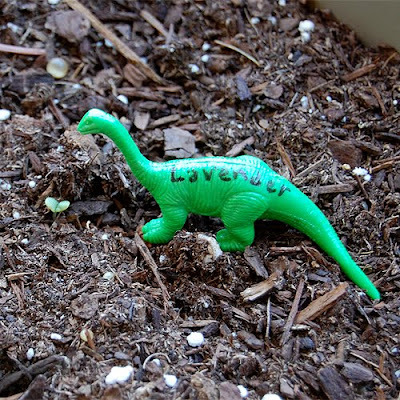 The Craftinomicon: Dinosaur Garden Markers! I always peruse the toy section of my local dollar store (you never know when you'll find something cute to send the nieces, right?). This time around, with garden crafts on the brain, I saw these little plastic dinosaurs and was inspired! 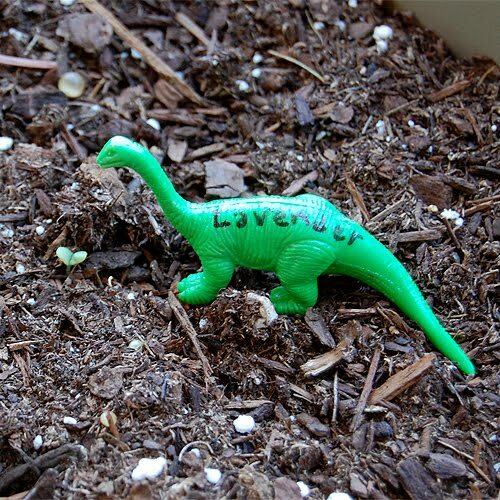 They make great little garden markers for your plants, and add some whimsy to your garden. In addition, they work well with small potted plants and larger garden plots alike.